The most powerful tool you have in your “real estate toolkit” is undoubtedly the Sales Contract…whether you're wholesaling, fix and flipping or buy and holding. It’s the glue that creates and holds a deal together or the instrument that can turn what you thought was a “great deal” into the worst deal of your life. Given the magnitude of this transaction, it is important that you understand the document you are signing, what addenda are essential to your success as an investor and most importantly, what “not” to do. There are many parts to the “Sales Contract” and many parts of it are extremely critical and sometimes overlooked. So it is very important that you fully understand how to use each section to capitalize on control. 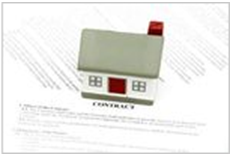 It is also very important to know what Key Clauses to include as a real estate investor to lower your risks. Understanding the Sales Contract is key to your success as an investor. You will not want to miss this opportunity to get a line-by-line break down of this essential leveraging tool. Attending this presentation could be worth thousands of dollars to you, but we're only asking for a Small $10 Investment in your business. Join us Saturday, May 7, 2016 for a TREC 1-4 Family Residential Contract break down. DOORS OPEN /NETWORKING– Meet fellow real estate entrepreneurs and share knowledge, resources, and expertise in the important business of wealth building through real estate investing. Dallas-REIG INTRO By Joe Boston: Find out about our group, sponsors as well as our upcoming activities and events. If you have a signed contract to buy a house and would like to sell your position in that contract to another investor, or if you are a real estate agent with an investment property listing, you can present the deal to the group. Please speak to Joe before meeting begins. There are usually several investors at our meetings who want to buy houses and have access to plenty of cash so they can close quickly.